In some cases, inflammation is an extremely good thing if you are suffering from injuries or an illness. The high white blood cell concentrations due to inflammation can help you fight infections. Sometimes inflammation can get a little out of hand and affect you in negative ways. So what should you to reduce inflammation? What is Inflammation in short? 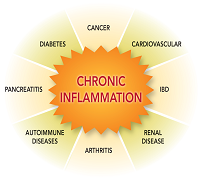 Inflammation is one of the ways through which the human body heals. It occurs when you are going through a very rough workout, sustained a gruesome injury or when you have contracted a disease. You should be happy that inflammation is actually a very vital healing process. Cytokines, which are cell signaling proteins, with specific fatty acids let white blood cells, antibodies and enzymes reach the wound by opening the blood vessels. 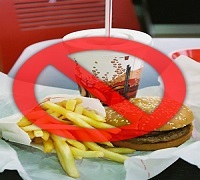 They then help the body get rid of any infection, debris and bacteria. Inflammation can occur due to a variety of reasons, and is not just limited to injuries, cuts and blows. It can also occur if there is something wrong with your body at any place. There are a number of bacteria and viruses that can cause massive amounts of inflammation. If any part of your body isn’t working right, expect inflammation. If inflammation persists, it can become quite a serious problem, as it hurts. Your body can only heal properly if it is getting the right nutrients for the job. Inflammation will persist if the body cannot find enough nutrients for the healing process. Other times, the inflammation persists because you might not be giving your injury the proper time to rest. For fast recovery, you will require food that contains nutrients that help healing, hence reducing inflammation. So a diet that provides you all the essential nutrients is a must. Nutrients are the fuel for all the processes of the body. Even if you inflammation is due to problems just as stress, a good diet might help you balance your hormonal levels.